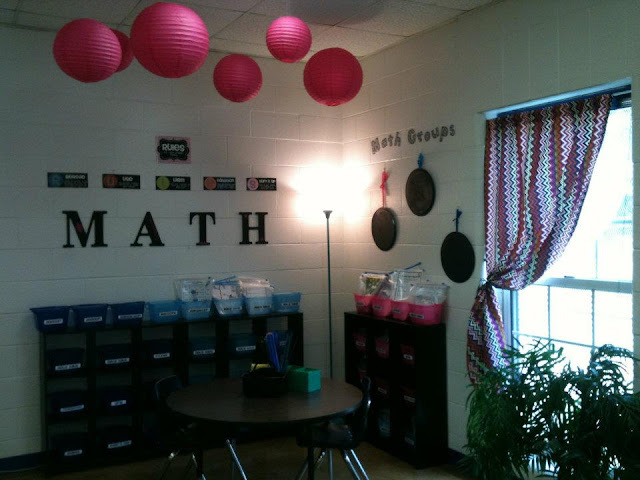 One of my favorite parts of my classroom is the math area. My kids love it as well. On those bookshelves are levelized math games. These games coordinate with what we are learning, and as I stated, are levelized based upon their math groups. 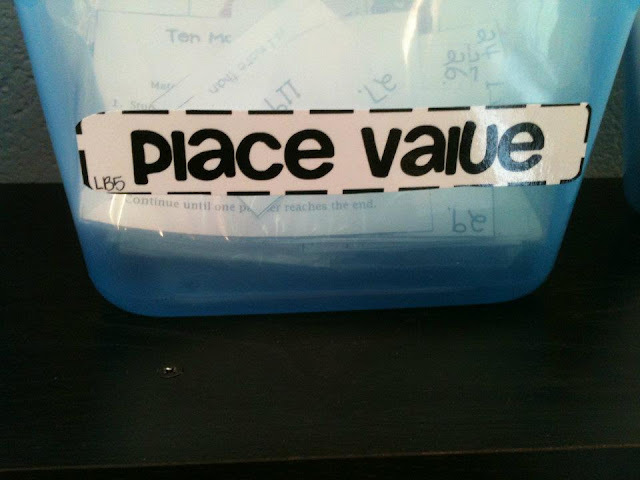 These are where I place the students' names for their groups. As I stated, I levelize my groups based upon the students' knowledge of the concept we are teaching. The color of the ribbon holding up the tray matches the buckets in the math games' library so the students are playing games that are appropriate for their level. 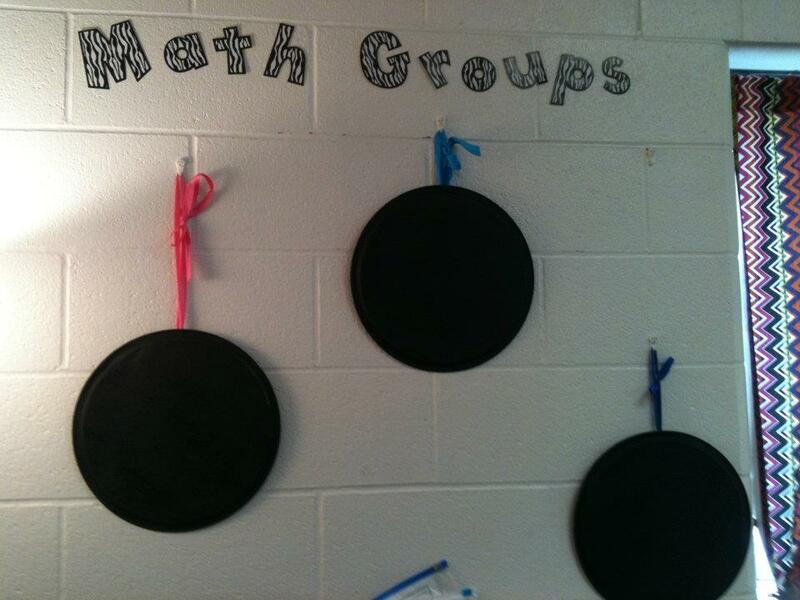 This has really helped my math small groups work efficiently. The students are playing games that are on their level. They have a variety of choices, and they are learning! :) I also love how organized it is!